Check out these pre-owed Boston Whalers for sale. 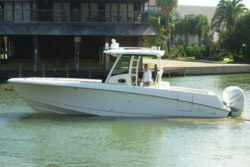 For sixty years, Boston Whaler has been providing boaters a unique experience that no other manufacturer could compare to as the “unsinkable legend.” Whether it be fishing, cruising, exploring or keeping waterways safe, each and every Whaler goes through a rigorous quality assurance process. 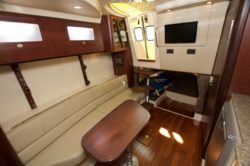 This unwavering attention to detail has provided the company a reputation for customer satisfaction and confidence. 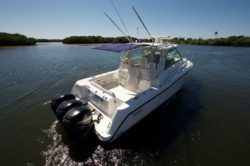 Plus, with an unsinkable hull, along with a great design and advanced technology Boston Whaler has easily become a trusted brand. 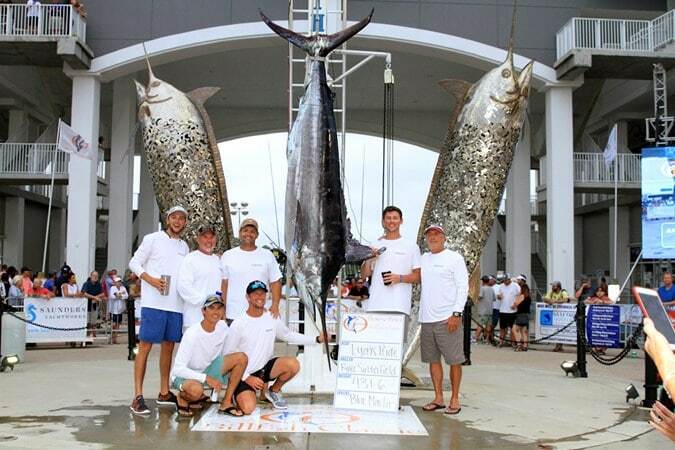 From splitting boats in two, shooting a hull with hundreds of bullets to driving a 69,000 lb. construction truck over a hull, the durability, strength, and safety of Whalers are undeniably legendary. 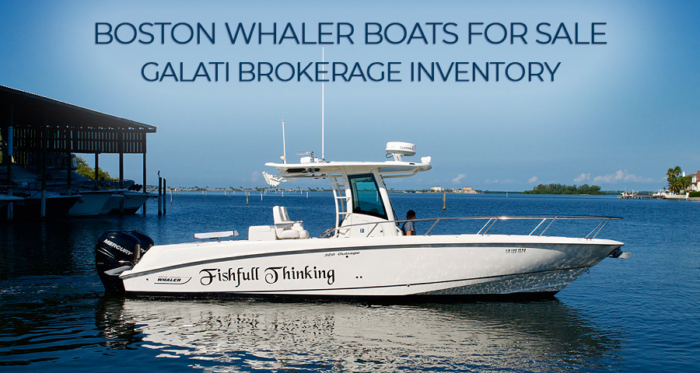 This fully loaded Boston Whaler is truly one of kind. 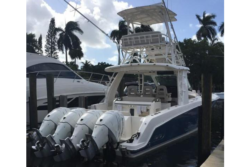 Being one of the most extensive builds, this 420 Boston Whaler comes equipped with Seakeeper, custom rod storage in cabin, tower with joystick piloting station, custom Release Marine battle saddle, and chirp downvision sonar. 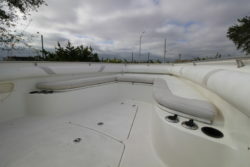 This vessel has been captain maintained and is kept on a 42 Ft. Jet Dock that is included with the purchase. 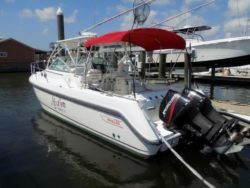 This 2018 Boston Whaler 380 Outrage is presented by Galati Yacht Sales Naples and in like new condition! 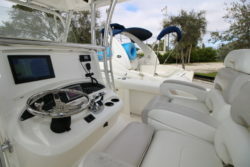 This 380 Outrage comes equipped with a Seakeeper, 62,000 option, and Joystick control. View the listing for more information. 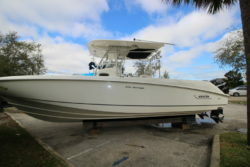 Seakeeper equipped and highly optioned with features that include Joystick Piloting, FLIR, and Helm AC, making her a serious turnkey fishing machine. 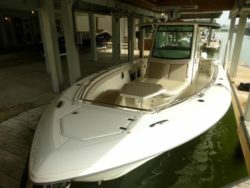 “WOOSAH” has been lift kept and meticulously maintained by her current owner and is in exceptional condition. 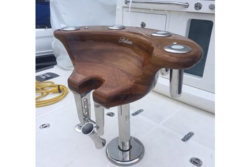 If you are looking for a highly advanced center console that can get you to and from the fishing grounds quickly and comfortably “WOOSAH” is the perfect boat for the job! This triple engine behemoth can get you anywhere you need to quickly, quietly and safely with the supercharged Mercury Verados. 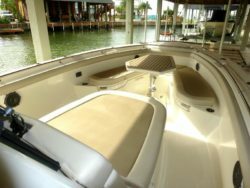 Docking is made easy with the digital controls and optional bow thruster. 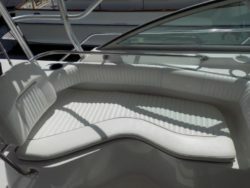 Take a look at the full specs for all standard and upgrade options this Boston Whaler boasts. She is priced to be the next 345 sold! 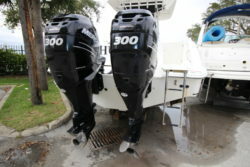 The 320 Outrage is built to compete with the big boys in the offshore center-console market. 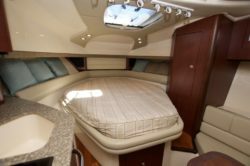 The 320 is a top-quality boat with a superb deck layout, top-shelf amenities, and excellent range. 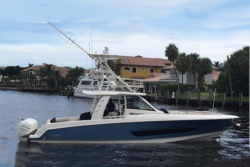 Built on an aggressive deep-V hull with a keel pad for increased lift. 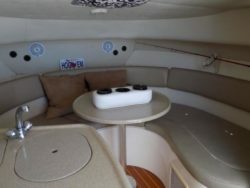 Fishing activities center around the custom bait prep center behind the helm seats with its 45-gallon livewell, sink, cutting board, and raw-water washdown. View the full listing for more information. 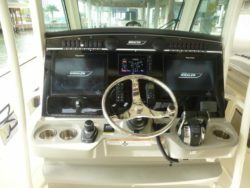 This 280 Conquest features a clean air-conditioned cabin, GPS, Generator, new bottom paint, engine tune-up, and services in February 2019, and generator serviced in February 2019. She’s ready to go and all set for her new owner. View the full listing for more information. 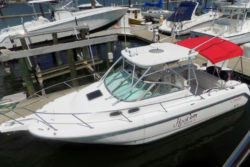 Purchasing a used Boston Whaler is a big decision. But it affords you some of the greatest adventures and memories of your life. 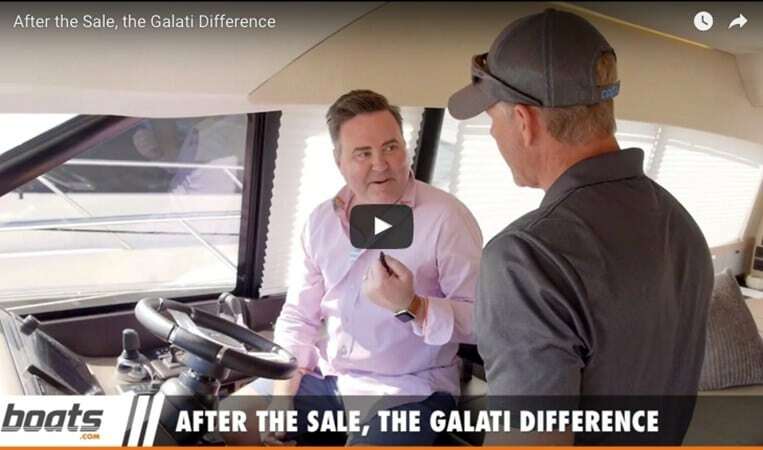 Whether this is your first boat or your tenth, Galati Yacht Sales strives to keep the boat buying process as simple as possible. 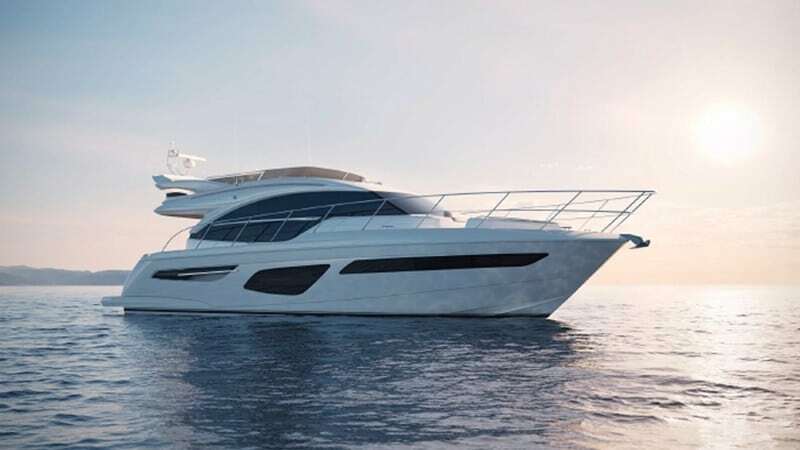 While every boat buying experience is different, our yacht brokers and business office work hand-in-hand to exceed your expectations.